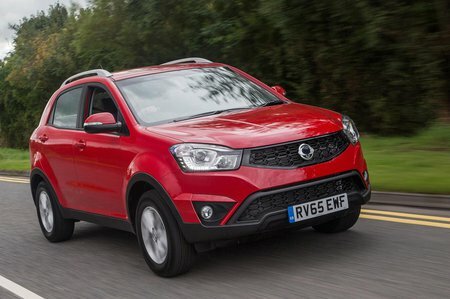 Ssangyong Korando 2.2 SE 5dr 2019 Review | What Car? What Car? will save you at least £572, but our approved dealers could save you even more. This is the sole engine available in the UK, a 2.2-litre turbodiesel with a healthy 176bhp. It doesn’t make the Korando fast, but it does make it flexible even in the higher gears. It may not be that refined, but it’s easy to see why the Korando is popular as a tow car.